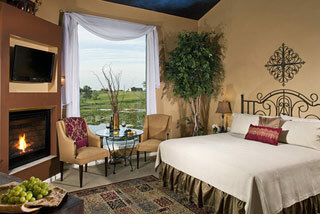 Come out to the Country for your escape to the Extraordinary. 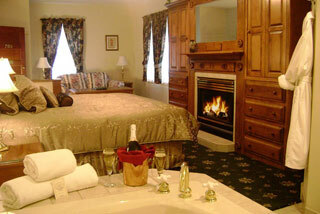 Relax in romantic rooms or suites at our with King or Queen Beds, whirlpool tubs for two, fireplaces, free Wi-Fi, private baths or sip a glass of wine beside our Outdoor Fireplace. Enjoy 65 acres of wooded trails and complimentary use of Kayaks and a pontoon paddleboat on our private lake. Enjoy a full gourmet breakfast every morning. Indulge in the on-site spa at our Saugatuck area bed and breakfast for couple's side-by-side massages, pedicures, manicures, and facials in a beautiful natural setting. A stay at the Victoria Resort B&B will remind you of a time when resorts flourished in the quaint lake side town of South Haven. At the end of our street are the sandy beaches of Lake Michigan where you can catch a glimpse of a spectacular sunset any time of the year. The downtown area is just a short walk along tree-lined streets. When the weather is warm, borrow bikes for a ride around town or stay on the resort to play a game of tennis! 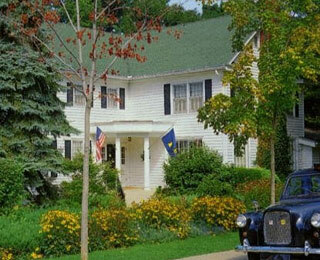 The Wickwood Inn is located in the heart of Saugatuck, Michigan’s historic district. Owned by award winning cookbook author Julee Rosso, Wickwood’s food never disappoints. On top of the delicious food, Saugatuck has much to offer no matter what your interests may be. Whether you’re looking for a romantic getaway with your special someone or just in town to enjoy the food, art, and shopping, the Wickwood is the perfect destination to enjoy all Saugatuck has to offer.